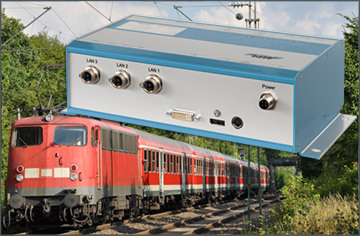 The RAIL-PIP39 Product is a high performance, low power, and highly integrated rugged Embedded Computer, designed for railway operation. The solution is available in a compact aluminum housing with flange mounting. The unique chassis solutions allows to operate the RAIL-PIP39 in a moderate as well as in harsh environments without the need of a fan or ventilation holes. The design integrates standard connectors for easy connection or lockable headers, depending on project needs. The PIP housings offer sufficient space for up to four 2.5" HDD/SSD or other expansions like UPS, RAID..). Two mPCIe slots allow to expand the system very easy. 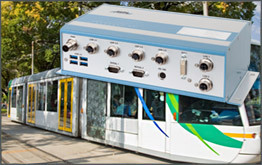 The internal expansion bus allows to integrate PCI or PCIe cards. This expansion possibilities give a maximum on customization for additional interfaces and features. Particular precautions during the design have been taken that the entire system EMC is within the CE and FCC limits and standards like EN50155, IEC 60945 or MIL-STD-810 can be met. The RAIL-PIP39 has been designed to withstand any harsh environments and extreme temperature conditions. The special rugged design, combined with the best industrial-grade components, offer high reliability and long-term performance. 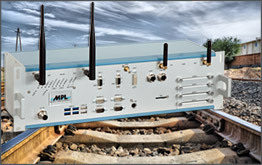 MPL’s Railway Solutions are EN50155 certified and all units undergo severe environmental testing to ensure reliable performance under a variety of power conditions, such as voltage variations, power interruptions, and supply changeover. The systems are also tested to withstand environmental disturbances, like vibration, shock, and extreme temperature. Watchdog Timer C onfigurable granularity 1-255 sec. or 1-255 min. Open Frame 218 x 154 x 43mm (min.) 1.5 kg (3.3 lb.) custom cooling plates, population, header version avail. The aluminum housings are internally chromated, externally powder coated or anodized, no ventilation holes. The cooling plate for the open frame versions is chromated.